Interested in a custom Amish bathroom vanity? Ryan is our Category Manager for Bathroom Vanities. 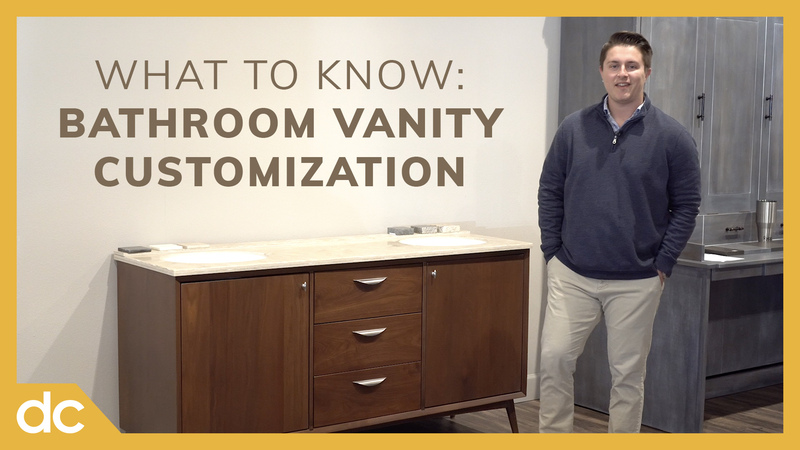 In this video, he invites you into the DutchCrafters showroom in Sarasota to share his expertise on Vanities. Using the Mid-Century Modern Bathroom Vanity from DutchCrafters as an example, Ryan dives in to break down all of the customization options available for an Amish made bathroom vanity from DutchCrafters. These custom options include wood type, surface type, hardware, and wood finish. Believe it or not, Amish furniture goes far beyond traditional dining sets. Explore thousands of products on dutchcrafters.com. These range from Amish bedroom furniture to Amish bathroom vanities and even Amish kids furniture. 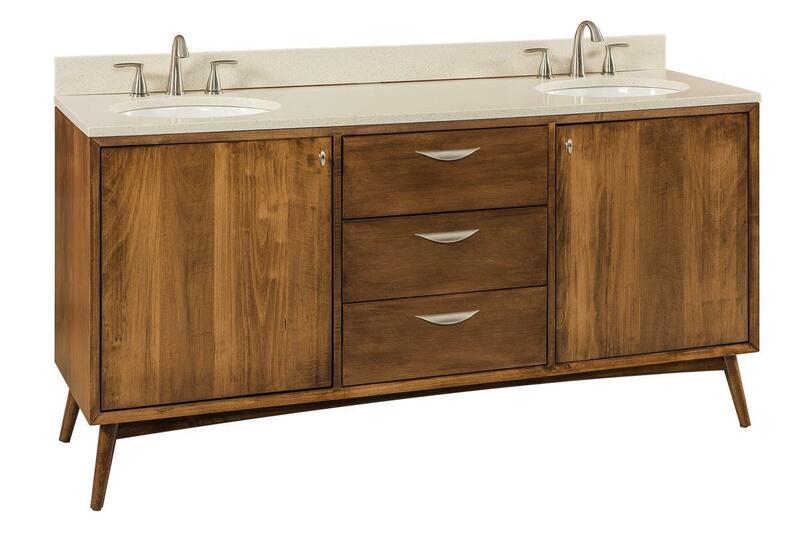 The stylish Mid-Century Modern Bathroom Vanity is the best selling Amish vanity on our site, for good reason. 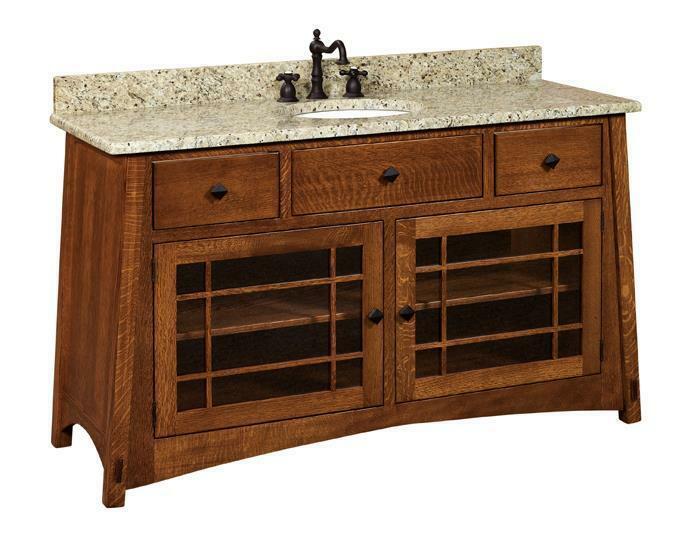 With a number of custom options and luxurious finishes available, this vanity is a great fit for a master bathroom. Learn more about mid century modern furniture! Other vanities shown include the Lancaster Vanity, Morgan Vanity, and McCoy Vanity (seen below).